The Darley Awards HOLLYWOOD 2018 once again reached new heights celebrating the best horses and individuals in Arabian racing from both the United States and abroad in a glittering three-day affair held April 6-8, 2018. The HH Sheikha Fatima Bint Mubarak Darley Awards ceremony kicked off the weekend in grand fashion at the historic Dolby Theatre (home of the Academy Awards) in Hollywood on Friday evening, April 6th. The black-tie affair attracted more than 500 guests from around the world, as well as VIP guests of the United Arab Emirates, Hollywood, and the California Horse Racing Board, who walked the red carpet into the famous theatre. The event marked the 31st Annual USA Darley Awards which honors the best in USA Arabian racing, and the 7th Annual HH Sheikha Fatima Bint Mubarak Ladies International Awards which honors the best females internationally in the sport of Arabian racing. “The USA Darley awards have always been a consistent representation of the most accomplished leaders of the game in the United States, and this year was no exception,” said Ms. Michelle Morgan, Chief Steward of the USA Darley Awards’ Arabian Racing Cup (ARC) and owner of Mandolynn Hill Farm in Point Pilot, Texas. Of particular note, the 7-year-old superstar Paddys Day (Burning Sand x AK Loretta)– who recently became the first Arabian racehorse to reach the million-dollar-mark in earnings – made history yet again when he was named Horse of the Year for the third consecutive year. Never in the history of the Darley Awards has a horse garnered this prestigious title more than twice; Paddys Day did it three years in a row. He is owned and trained by Scott and Lori Powell of Quarter Moon Ranch, who took home four Darley awards that evening. “The 2018 HH Sheikha Fatima Bint Mubarak Darley Ladies International Awards and the USA Darley Awards ceremony were once again together a dazzling affair, and all the winners fully deserved the accolades,” said Ms. Lara Sawaya, Executive Director of the HH Sheikh Mansoor Bin Zayed Al Nahyan Global Arabian Horse Flat Racing Festival, General Manager of Wathba Stallions, Chairperson of the International Federation of Horse Racing Academies (IFHRA), and Chairperson of Ladies & Apprentice Racing Committees in the International Federation of Arabian Horse Racing Authorities (IFAHR). “The HH Sheikha Fatima Bint Mubarak Ladies International Awards in particular has been conferred on some outstanding ladies who have been rock solid in the success of Purebred Arabian racing and its allied events, and the Festival congratulates each one of them,” she continued. It was a truly unforgettable evening that included emotional moments, moving speeches, Walk of Fame interviews by YAS TV, and the deserving recognition of so many in the sport from around the world. Nearly the entire group of guests headed to nearby Santa Anita Park racetrack on Saturday afternoon for one of the most anticipated and exciting days of the year in USA Arabian racing: the $100,000 HH Sheikha Fatima Bint Mubarak Darley Awards Stake (G1). Guests enjoyed the lavish surroundings of the track’s most privileged VIP area, the Chandelier Room, which provided entertainment, gorgeous food buffets and open bar, private wagering areas, and an elevated view of the finish line. Adding to the excitement was the fact that this day happened to be the track’s biggest day of the year, as the big Arabian race also shared the world stage with the $1 million Santa Anita Derby… arguably the West Coast’s most important Thoroughbred race of the year and also a key qualifier for the upcoming Kentucky Derby. The HH Sheikha Fatima Bint Mubarak Darley Awards Stake (G1), set against the pink hue of the setting sun that blanketed the San Gabriel Mountains as our backdrop, played out with equal adrenaline to the world stage it was being held on. It was Easter Man under jockey Carol Cedeno that seemed to be the one to beat in the 12-horse field, and he was a nose behind RB Nash ridden by Darley-winning jockey Keiber Cao leading the run down the stretch with Quick Sand AA in hot pursuit. Close to home, Quick Sand AA was driving hard under Sasha Risenhoover on the outside, and it took a photo finish to determine the final order. The photo gave the verdict in favor of 5-year-old Quick Sand AA (Burning Sand x Triumphs Silkie) and it was the 27-year-old Oklahoma based Rivenhoover’s biggest win. Appropriately, the win ales reflected a trifecta of Darley winners from the evening before: Darley Trainer of the Year Jerenesto Torrez and Darley Owners/Breeders of the Year Joseph and Betty Gillis. It was a breathtaking day of Arabian racing that not only helped set key rivalries to watch the rest of the year – assuredly among Quick Sand AA, Easter Man, and RB Nash, as well as Paddys Day when he returns from overseas – but also is a significant factor in decisions for next year’s Darley winners as well. Guests returned to the weekend’s host hotels, the Beverly Wilshire a Four Seasons Hotel and the Montage Beverly Hills Hotel to rest and recuperate before the grand finale event of the weekend, the Gala Dinner at the Beverley Wilshire. This much-anticipated annual event is the perfect celebratory capstone of the weekend’s incredible moments. Elaborate tables boasting gold-lined china and ornate flower artistry set the stage for an evening filled with top Hollywood entertainment talent, a moving presentation of the 5-minute trailer for the documentary “Leg Up” produced by Ladies International winner Amanda Roxborough, and a celebration of all the individuals and organizations who either won awards this weekend or supported the lavish activities guests enjoyed throughout the weekend. 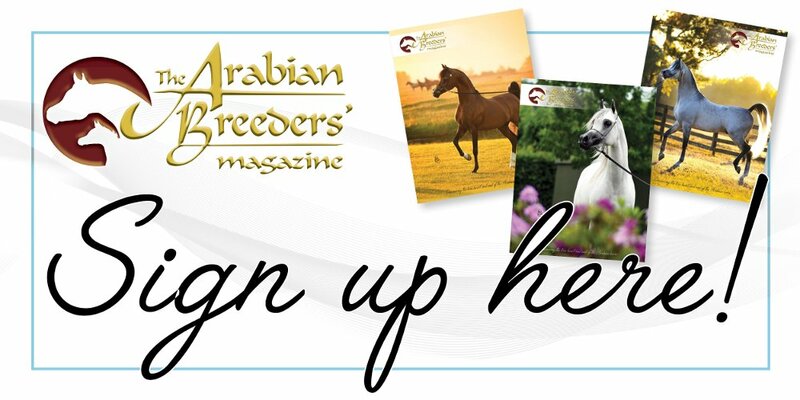 The Annual Arabian Racing Cup Stallion Auction, a long-standing tradition as one of the organizations most important fundraisers of the year, was also a huge success, bringing in a total of $52,000. Of note, the highest lot was a $13,000 breeding to Wathba stud’s Munjiz, won by Jon & Krista Henningsgard of Uptown Arabians in Waller, Texas. “We thank HH Sheikh Mansoor Bin Zayed Al Nahyan, Deputy Prime Minister of the UAE and Minister of Presidential Affairs for his vision and support through the Festival,” said Ms. Sawaya. For the 7th consecutive year, the Darley Awards HOLLYWOOD 2018 were once again generously sponsored by the HH Sheikh Mansoor Bin Zayed Al Nahyan Global Arabian Horse Flat Racing Festival. The awards weekend seemed to reach new heights once again in its three days of lavish events. And in The Year of Zayed – the 100th birth anniversary of the founding father of the UAE, the late Sheikh Zayed bin Sultan Al Nahyan – this accomplishment was particularly poignant, and one felt throughout the weekend by all its distinguished guests. The ARC’s Mrs. Morgan shared similar sentiments. The Darley Awards HOLLYWOOD 2019 will be held April 5-7.